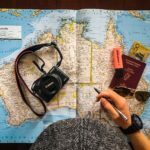 If you are on a Working Holiday Visa in Australia and wish to stay longer, this is how you can apply for a second year visa in Australia. Here is all the information you need to renew your working holiday visa and enjoy a second year in this beautiful country. Important : From 1 July 2019, WHM visa holders who carry out 6 months of specified work in regional areas while on their second Working Holiday (subclass 417 and 462) visa may be eligible to apply for a third visa. Eligible types of work and regional areas will correspond with the requirements for the second visa. The 6 months work must all be carried out on or after 1 July 2019. 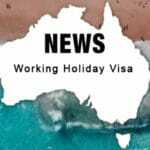 Several conditions apply to renew your Working Holiday Visa. 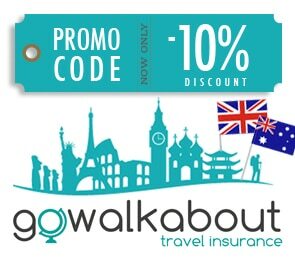 Just like the first Working holiday visa, you will need to be under 31 years old, have a valid passport, will not be accompanied by dependent children and be able to show that you have health cover for the length of your stay in Australia. You must also have completed three months of specified work in regional Australia while on your first Working Holiday visa. For 417 visa holders, all areas in Tasmania, South Australia and Northern Territory are eligible for renewal. 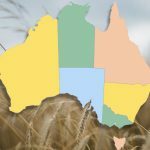 For the other states and territories only certain postcodes are eligible. 462 Visa holders are required to complete three months of specified subclass 462 work in northern Australia. There are many different industries you can work in to qualify for a second working holiday visa. You can work in agriculture industries (harvesting, cultivation, processing) as well as forestry, fishing and pearling, mining and in the construction industry. The Australian government provides a list of all jobs that are eligible to renew your working holiday visa. Find all the jobs eligible on: Eligible jobs for a second year visa in Australia. Good to know: it is the place where you are working, and not the company headquarter, that must be located in the regional area. Work completed in a non-eligible area, which has an office in a regional area, does not meet the requirement. How to calculate the 88 days (3 months)? The government has set rules regarding the calculation of the 88 days. Three months’ means three ‘calendar’ months. One full day of work is defined as seven to eight hours of work during the day. On average, the Australian working week is 35 to 40 hours. Full time workers may include weekends in calculating the number of days. So if you have worked 5 days doing 7 or 8 hours per day, you may count 7 days worked. If you have worked less hours per day, then you must work more days to reach the 35 / 40 hours worked per week. For example if you have worked 5 hours per day, you must work 7 days for your full week to be counted. Full time workers can count sick days only during periods where they are in paid employment and entitled to sick leave. Supporting evidence must be provided by the employer. If your job is part time or casual, you may only count the full days actually worked. Good to know: Applicants cannot count a long day of work as more than one day of specified work. For example, if the industry’s standard day is six hours long, working a 12 hour day does not count as two days of specified work. Do I need to work with the same employer for 3 months? You can either work in one block with the same employer or in separate blocks with one employer or a number of employers. Days of work may be in different kinds of specified work. For example, you can complete 60 days of harvest work, travel for a month and complete another month in a construction job to get your 88 days. How to apply for a second year visa? 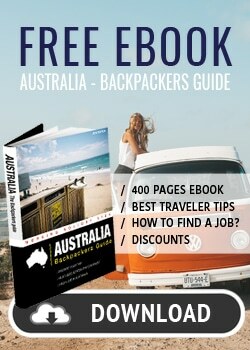 You can apply in or outside Australia. 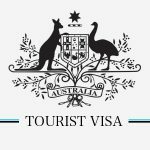 If you apply from Australia, you must be in Australia when the visa is granted. If applying from outside Australia, you must be outside Australia when the visa is granted. It is important to keep evidence of your specified work. – Payment summaries (PAYG), which is a summary of your payslips during the financial year. Other evidence may include tax returns, employer references or group certificates. We also advise you to keep other records such as photographs, bus tickets or any evidence showing your presence in the area while working. When to apply for a second year visa? You may apply either while you still hold a first Working Holiday visa or at a later date. If you want to extend your visa straight after the first one, you should apply before your first working holiday visa expires. If you wish to come back later, you should apply before your 31st birthday. You will have one year after approval to enter Australia. Good to know: If you apply for your second year and your first visa is about to expire, you will be granted a bridging visa. You will be able to remain in Australia and to work while waiting for your second year visa. 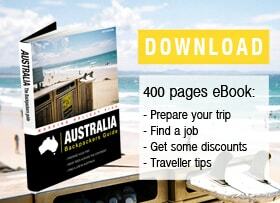 A working holiday visa paid directly on the Australian Government’s website costs AU$450. The processing time varies. Some applications are granted within a few hours whereas others are investigated and can take up to 2 months. When lodging your application for a second year visa, you should upload all of the supporting evidence at the same time to avoid delay in processing your application. Providing a false or misleading declaration or fraudulent evidence for any visa application can result in the application being refused or cancelled. If the applicant’s visa is cancelled they may be prevented from lodging further applications and be excluded from Australia for a period of three years. Information extracted from the Australian Immigration Website (www.homeaffairs.gov.au).